Buoyed by the massive fan base for the Star Wars franchise, Star Wars Authentics is a new collaborate effort from Lucasfilm and Topps to offer official photographs and autographs from the beloved films. Billed as the official photograph partner of Star Wars, the Star Wars Authentics website features both signed and unsigned photos for more recent films like The Force Awakens and Rogue One along with the original trilogy and prequels. The images come direct from the Lucasfilm library while the signed photos utilize Authenticators, Inc., the same service from the MLB Authentication Program. This means a representative will be present for every autograph signing and will apply a tamper-proof hologram to confirm authenticity. 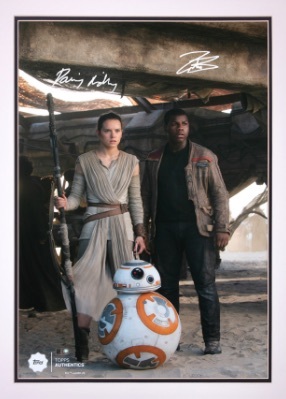 Signers of note include Topps exclusives John Boyega (Finn in The Force Awakens) and Felicity Jones (Jyn Erso in Rogue One). 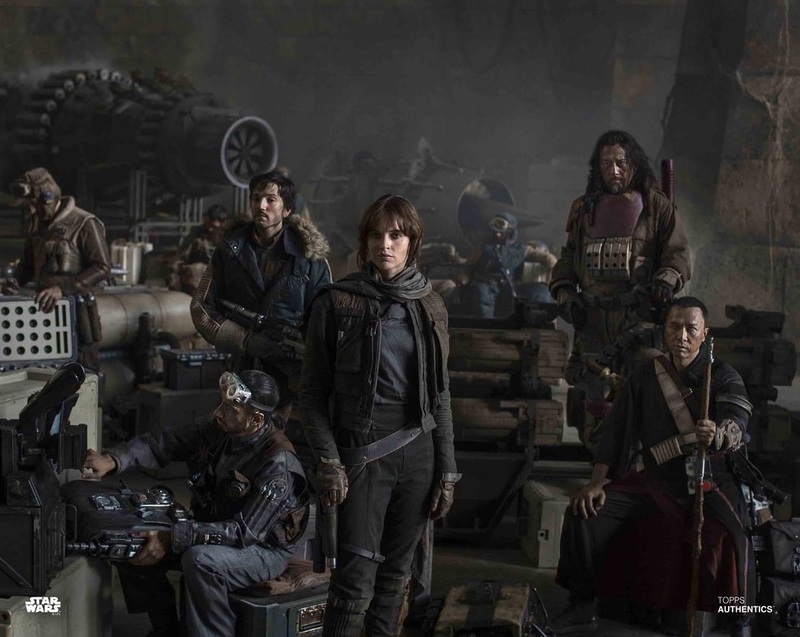 Other choices include autographs from Daisy Ridley as Rey and Adam Driver as Kylo Ren from The Force Awakens as well as Donnie Yen as Chirrut Îmwe, Forest Whitaker as Saw Gerrera, and Riz Ahmed as Bodhi Rook from Rogue One. According to David Leiner, the General Manager and Vice President of the North American Sports and Entertainment division at Topps, "We identified a hole in the entertainment industry, a need for certified authentic pieces for the Star Wars brand, and with this collaboration we are able to meet consumer demand. Topps excels in visual arts and printing technologies and we are thrilled to bring our expertise to Star Wars, building upon our trading card and Major League Baseball memorabilia business."